The Avari Easy Glide Rower should win a prize for being the cheapest and most poorly made rower on the market today. The multi-function monitor shows workout feedback for time, calories burned, and stroke count. Length / Height: 53" x 26"
The Avari Easy Glide Rower features a padded molded seat, padded rowing handle, steel frame, angled aluminum rail, braided nylon rowing strap, large footplates with adjustable straps, and a 1-year frame/90-day parts warranty. The hydraulic resistance is quiet and can be adjusted at 12 different tension levels. 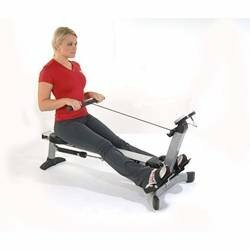 Check out the Avari Easy Glide Rowing Machine on Sale Here! According to user reviews, one of the main drawbacks to this Avari model is the very short frame at just 53 inches long (compared to magnetic rowers at 80 inches long) and that the handle bar rest is at arm’s length and not at reach so the rowing motion of pull-catch isn’t present. Even a short woman has to literally lean back and throw her elbows to the side while pulling the handle into her chest to reach a full “stroke.” In other words, it requires you to use very bad form for a rowing exercise. It hurts my back just to watch the demo video on this model. The second point that must be mentioned is how many parts fail on this machine. From the handlebar holder, to the footplates, the rear wheels, the pull rope, and more – this model is setting records for breakable parts. No wonder the parts warranty is only for the first 90 days! We review several inexpensive models from off-brands but we want to point out that Avari is a Stamina brand, and Stamina has some excellent products in its stable. Unfortunately, the Avari Easy Glide Rower isn’t one of them. It offers such poor quality that many users report it breaks (literally) after only a couple of workouts. 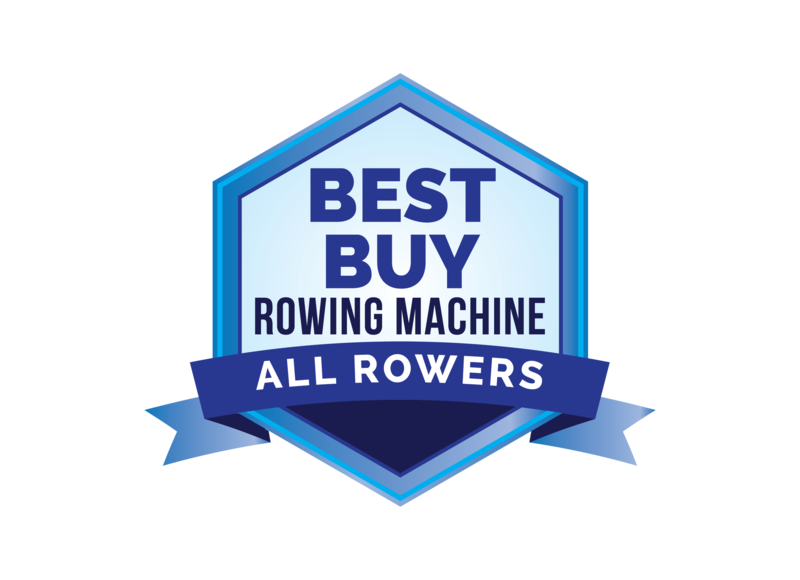 Don’t be fooled into spending $199 for this rower. The Avari Free Motion Rowing Machine - Cheaply made, an overpriced piece of junk. The hydraulic shock absorbers heat up during an intense rowing session and could fail.